The kids and I have been talking about words with ing added on the end. 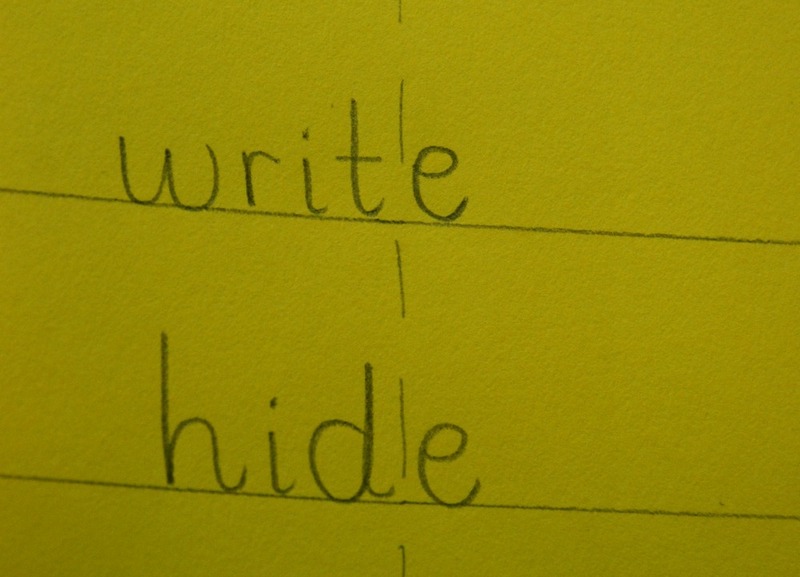 My youngest has just started coming across these words in his reading and his big sister was showing him how to break the word down into the initial word and then the ing (she is the best little teacher ever). Anyway while she was showing her brother this she was telling him that the magic e drops away and he gave her a confused look so I knew it was something we needed to reinforce. My idea was to have something where when the ing is added to the word (as a flap ) it naturally covers the e on the end so bake plus the ing flap would become baking. I started by folding an A4 piece of coloured card and I drew some lines on it (I can not write straight without lines). I also knew I needed to line the words up so that the e and only the e would be under the flap, so I drew a dotted line running down the edge of the flap and tested out writing my words with pencil, making sure the e would be under the flaps. Once I was happy I had everything lined up I wrote the words with the felt tip pens and then rubbed out the pencils and finally cut the flaps (I wrote the ing on the flaps in a different colour but that is just personal preference). All in all it was actually very quick and easy to do and now it shows the words it their original form and the words with the ing added on. And all it cost me was the price of one piece of coloured card. Both kids think it is great and my daughter has even been on a mission searching for her own words where the e is dropped when you add ing (she has been reading her books making a list of all the words she finds). This entry was posted in Homeschooling and tagged english, free printables, home ed, home learning, Home-made folder, homeschooling, learning aids. Bookmark the permalink. I absolutely love this. I am doing this! It is a fantasy way to teach students. What a lovely, simple idea! Fabulous lesson! That’s so cool and useful! It can help so much my dyslexic students. Thanks a lot! I love the idea of this but I can’t figure out what an A4 card is.